[Noel] does a lot of SMD work and wanted a pair of “smart” tweezers that could be used to place components as well as for reading their capacitance and resistance values on the fly. 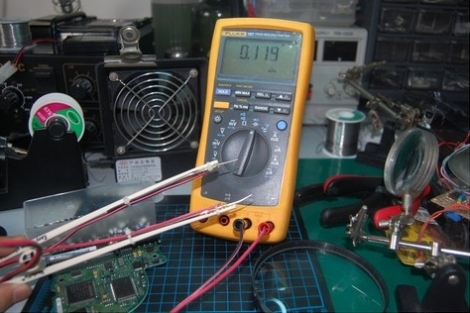 As we have seen, these things can be somewhat costly, and not really necessary if you already have a good multimeter. With that in mind, he figured he could build his own for almost nothing. He started off with a pair of kids’ “training” chopsticks which are durable, but more importantly, non-conductive. He took a second pair of tweezers, this time made of metal, and split them in two. He soldered wire to a set of ring terminals, mounting one on each leg of his broken tweezers. The final bit of assembly involved using zipties to mount everything on the plastic chopsticks along with the addition of banana plugs to the end of his probes. [Noel] says that the tweezers work quite well, and with such a low price tag, we can’t argue. 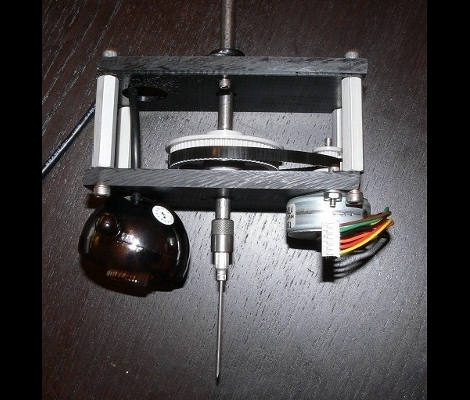 This is a vacuum tweezers head for an open source pick-and-place. Those are the machines that professional printed circuit board manufacturers use to populate a circuit board with components before heading to the reflow oven. [Drmn4ea] built it with at-home rapid manufacturing in mind. The black orb on the left is a webcam for optical placement. The needle in the middle is an interchangeable vacuum-tool head. The motor on the right allows for different attachments to be swapped in automatically to suit a variety of parts. 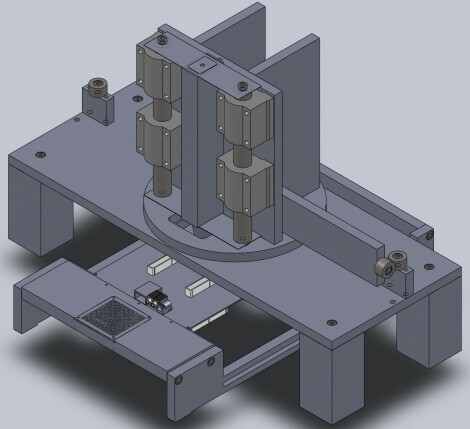 This interfaces with a 3-axis CNC machine and should be easily compatible with a RepRap, Makerbot, or similar device. We wonder how he plans to handle reels of components, but this is a well-executed first step in the journey to a complete solution. Want to see a professional pick-and-place at work? Check out one of SparkFun’s machines busy build a board after the break.